By now several of you have checked out the iBotta app and joined a team of awesome shoppers and savers. I have the additional hope that you may have some trust in my recommendations. So I’ll briefly share five more similar platforms to earn money while you shop. Receipt hog is exactly what it sounds like. It’s a slow earner but there’s really no exclusion. Receipts for fuel, alcohol, tobacco products and anything else you purchase that you can get a receipt confirming your purchase. Scan each and every receipt. When you get 4,500 coins, you can turn it into a $30 Amazon card. You’re on your own. There’s no referral bonus for me or for you. You need to be fairly organized in your grocery shopping for this one. There are only a certain number of items available to claim. So if you want it, you have to grab it. The rewards are transferred via check from the company headquarters in Canada once you reach $20. You have to request it. Savings Star is another earn money for grocery shopping. It takes more effort than most but it also has the highest monetary rewards. You can also enter your loyalty card from merchants and avoid scanning a receipt. Rewards can be transferred to your PayPal account, to Starbucks gift cards, to AMC Theatres gift cards, or to iTunes gift cards when your account reaches $5. Select before you shop. Again, you’re a lone wolf wolf without a bonus to you or to me. This one is a little more complex because the offers change every Monday. Which means you must upload your receipt by midnight Sunday. I idon’t grocery shop every week. Plus, your rewards are only delivered by PayPal. You a don’t get a different option. Shopmium doesn’t offer much for me unless I drive 90 minutes or more to shop. This is definitely a where you live makes it worth it. I have 3 stores available in my area. HyVee, Target and Walmart. My friend who lives in the Dallas/Ft. Worth area has too many to count. So although I have it, there’s very few offers for me to accept. You can receive your rewards through your checking account or through PayPal. It’s an automatic payout 24 hours after your account is credited. 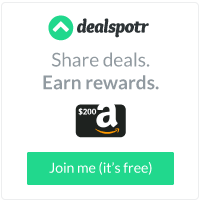 Although I don’t use this one very often, I do get a bonus if you sign up using my link. Fancy a Lindt chocolate bar for FREE? Just download Shopmium for iPhone or Android Shopmium and use my referral code during sign up: MGCMYFPJ Bon appetit! I would also like to take the time tointroduce you to Katelyn. She was a recipient of one of the Coach purses I was telling you about. She’s modeling a limited edition wristlet. I’ll tell you all about that and many more money savings and budget reducing opportunities in the weeks to come. ❤ receipt hog. As my genius 14 year old said, if I am going to spend the money ANYWAY, I might as well get paid a little bit to do it. She is going to be so financially sound someday!